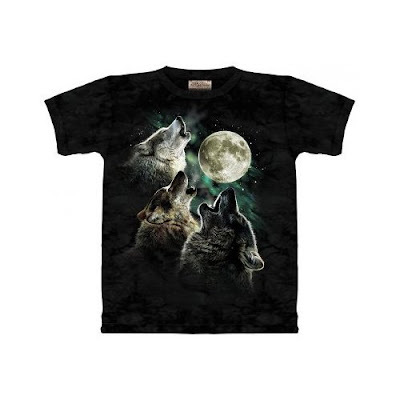 The 'Three Wolf Moon' T-shirt (below) has become a best seller on Amazon.com after Amazon users started leaving 'joke' reviews for it. The Three Wolf Moon t-shirt reviews then spread virally and according to the BBC, sales of the Three Wolf Moon t-shirt are up 2300% this week - the Three Moon Wolf t-shirt is currently the best selling clothing item on Amazon.com! "This item has wolves on it which makes it intrinsically sweet and worth 5 stars by itself, but once I tried it on, that's when the magic happened. After checking to ensure that the shirt would properly cover my girth, I walked from my trailer to Wal-mart with the shirt on and was immediately approached by women." "Personally, i would have liked the T shirt more if the three wolves were fighting a powerful grizzly bear to the death, ON the moon. I would buy the T shirt if it portrayed that." This shows how the ability to leave reviews and comments can add value to e-commerce sites. Not only does it help people decide and encourage to purchase, it also gives reason for people to visit. The viral traffic for the Three Moon Wolf t-shirt shows how powerful social can be for e-commerce business as impact of the viral distribution of the reviews can be seen directly on the increase in sales volume. Three Wolf Moon goes super viral and Susan Boyle gets wolf power! Nick, I am totally looking forward to having coffee with you soon and seeing you wear the shirt in real life! The only thing that could be better than actually knowing a man who runs with the Three Wolf Moon shirt would be standing in front of a whole sales rack full of them at discount designer clothing superstore, Loehmann’s? Seeing all of them bursting with potential, smelling the muskiness of the fresh transfer ink, knowing they could be had for up to 65% off the prices found elsewhere.